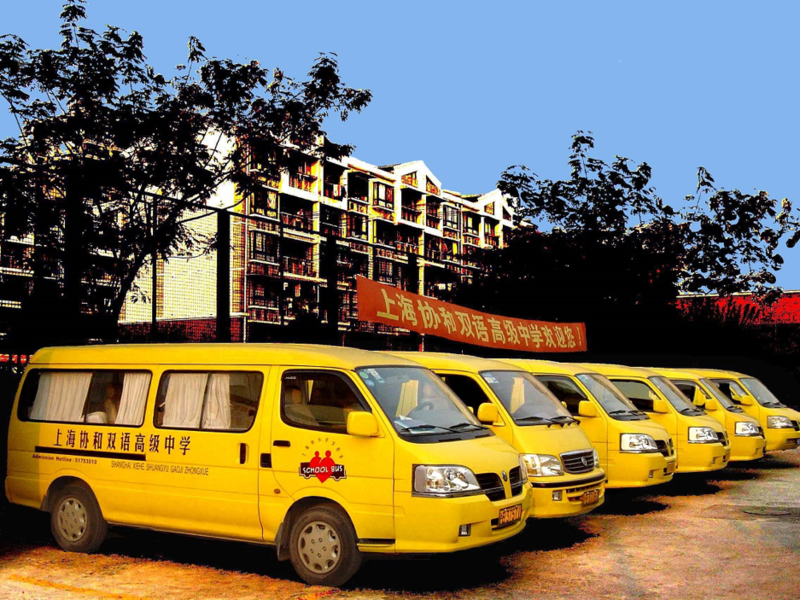 We provide school bus services throughout Puxi and some areas in Pudong before and after school. The school has many bus routes available for students who live in different districts in Shanghai. The school bus is optional, as some families prefer to make alternative arrangements for transportation. Bus routes are flexible, from example a request for a pick-up/drop-off point to be added to an existing route can be considered. Bus transportation is also available following the extra-curricular activity program. This fee is not included in the tuition fee. The fee is between 3000RMB to 6000RMB per semester, depending on the distance. Each school bus is staffed with a bus mummy who ensures the safety of the students on the bus.